Print media is making a comeback. Well, to be honest, it never really went away. With digital taking over, many people would have you believe that there is no place for print anymore. Actually, it’s quite the opposite. As pretty much everything in our lives is internet based, more and more brands are reviving print media. The print industry is simply evolving. It’s taking shape into something different to suit the needs of the ever-changing, ever-demanding media landscape. Many brands have spotted this opportunity and are using print media to their advantage, thinking of new and innovative ways to combine digital strategies with print. Using both digital and print media strategies bridges the gap between online and offline; it connects the customers to the whole marketing journey. The most obvious way we have seen this happening is the use of Quick Response (QR) codes in magazines, combining social media with in-store displays, and using digital opt-ins from direct mailings. Therefore, more and more companies are reinventing the use of print media, flipping it on its head and creating new ways to entice customers and heighten the buzz around their brand. A popular trend amongst digital companies when it comes to print media, is releasing their very own magazines. Such magazines could be a new marketplace for the company to venture into – supporting and strengthening the brands image – or a limited edition token to loyal customers. Ultimately, more and more brands are now expanding out of their digital origins and into the print based world. Here are just a few well-known digital companies that have turned their hand to print media. Air BnB created their own travel magazine back in 2014 called ‘Pineapple.’ It was originally designed as a coffee-table magazine to be showcased in their ever-expanding rental homes. 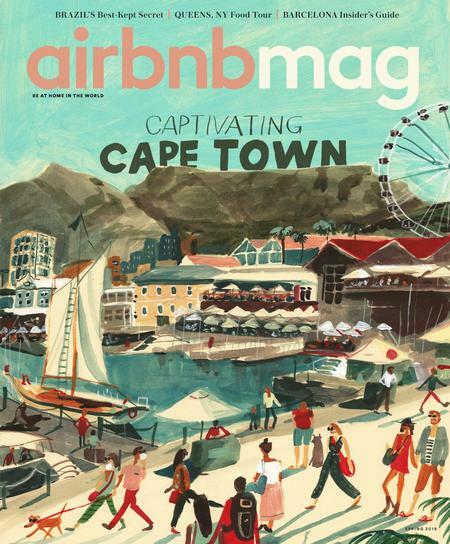 It was centred around travel and the stories of their members, but more recently, it has rebranded and joined forces with Hearst to create ‘Airbnbmag’. This features new travel locations, tips for your next holiday and inspiring stories. With a circulation of 350,000 copies, this new chapter for Air BnB is definitely paying off! The iconic luxury online fashion retailer launched their own print magazine back in 2014, alongside their digital magazine and website. Much like their online shop, Porter magazine provides the latest luxury fashion and beauty trends. Porter also uses its digital origins to its advantage by using the Net-a-Porter app to enable customers to shop the items in the magazine straight on their phone. Net-a-Porter has not only challenged the likes of Vogue and Tatler with its new glossy fashion mag, but it has also reinvented consumers shopping habits. The online fashion giant, Asos, is also another digital-first company that is using the novelty of niché print magazines to its advantage. Originally, the magazine was given away for free to Asos’ most loyal customers (a great marketing strategy), but recently, the mag has become that popular, it’s actually available to buy direct from their website for £1. 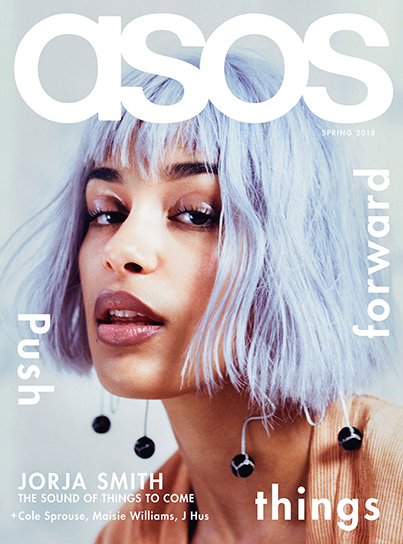 Asos magazine is now the UK’s most widely-read quarterly fashion magazine, with a circulation rising to more than 700,000 globally. Delving into the print world has been a great move for the online retail icon. Digital companies exploring different ways they can use print media has clearly been an effective move for them. However, companies adopting a digital and print media strategy to come up with creative and innovative marketing campaigns and adverts works just as well for stirring up attention. Here are just some of the integrated ads that have caught our attention. A couple of years ago, Nivea reinvented the classic magazine advert by adding a unique spin to the old A4 page. 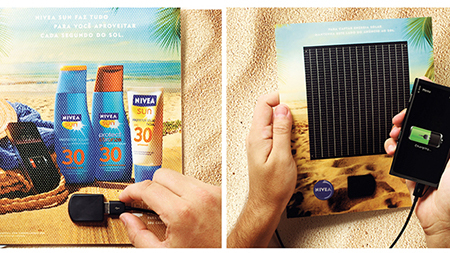 To generate new interest in Nivea Sun’s lotions and moisturisers, the adverts were fitted with paper-thin solar panels and a phone plug so customers could charge their phones by the beach without worrying the battery would die. This clever spin on the ‘same old’ magazine advert generated millions of global media impressions, attention and also a few awards. Good work from Nivea! 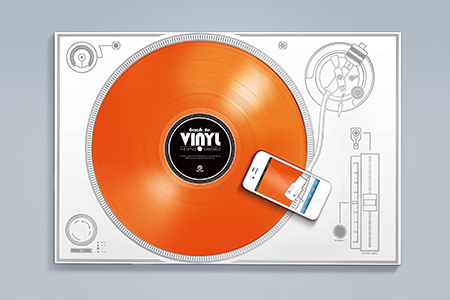 Thinking outside the box on this one, Kontor Records reinvented a new way to pitch up-and-coming artists by putting a spin on the much-loved, classic turntable. 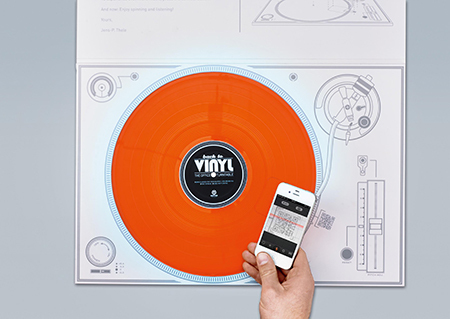 In order to generate more interest in the artists at their label, they created a bespoke app, a vinyl record player and a paper turntable kit which listeners can put together and play at their convenience. This simple reinvention increased targeted listener responses by 64%. This simple change to a much loved vintage item, not only increased their listener responses, it also made headlines across multiple design mags and newspapers. Lladro Lighting, a well-established Spanish brand, combined utility, design and innovation with this particular campaign. A few years ago, the brand decided to launch their new range of chandeliers and lamps by creating a pop-up poster which transformed into a corner lamp. 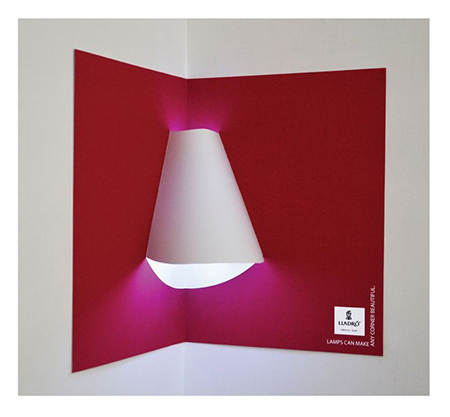 A practical yet quirky idea, based on three different colour ways, the campaign was centred around the slogan ‘Lamps can make any corner beautiful.’ The pop-up poster could be fixed to any corner to add light and colour to any room. This was an ingenious idea, and also a bit of a collectors item. So, there you have it. Print media is very much still alive and kicking, and it’s even better mixed with contemporary digital strategies. The biggest and best brands are advocates for an integral strategy like this, with more to follow. Where do you think print media will go next? You can let us know on Facebook and Twitter or by getting in touch directly here. Alternatively, head to our print management page to find out more on how we could help you.